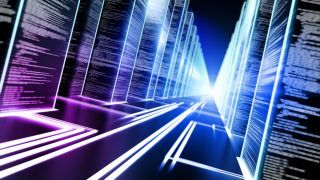 Google joined Microsoft, Mellanox, Broadcom and Arista Networks to launch the 25G Ethernet Consortium, an open industry body that aims to push 25G (single link) and 50G (double link) protocols in datacenters. The current industry standard is pegged at 10G and 40G respectively between the server network interface card and the top-of-rack switch port and any new specification will be available for free to consortium members. The need for faster Ethernet links has been driven by the necessity of industry-standard, vendor-neutral, interoperable technology capable of boosting performance while at the same time cutting the cost of Gbps between the NIC and the ToR. The first products based on this technology are expected to hit the market before the end of 2015. Expect hyperscale players like Amazon, Apple and Facebook to join in as well. Specifications for 40G and 100G have been around for some time now with numerous vendors offering 100G products already. We have been in touch with representatives from the 25G consortium group to ask them why 100G wasn't considered in the first place and will update the article in due course.